Let’s start with the instruction. I thought Ron Barter (head instructor) was excellent. He has an incredible knowledge about woodworking and was always keen to answer my questions, no matter how many I came up with (trust me, I had a lot). Even when the questions strayed off topic, Ron was keen to help out with questions pertaining to other aspects of woodworking, design, and so on. He still answers my questions by email weeks after having taken the course! I found he was very patient, and his methodical approach really helped to limit my mistakes. I now try to tell myself to slow down when I am working at in my shop, as I find this helps reduce my errors. I also loved how he could turn mistakes into opportunities, so if I made a mistake in a cut, he would help find a solution to save the piece instead of simply starting over again. The old saying about learning from your mistakes comes to mind! My only critique was I found sometimes Ron gave too many instructions at once, and I would forget some of the steps. This is likely me being forgetful, but after mentioning this to Ron he adapted his teaching and would send me with less instructions at a time. Course work: The coursework covered a wide variety of woodworking (see my previous posts for details). It obviously didn’t teach me everything, but what do you expect in 6 weeks? It was an excellent overview and gave me a firm footing in fine woodworking. Did it make me an expert furniture maker? No, of course not, it was 6 weeks! I only wish this course could be offered through a college where this 6 week course could be spread over a semester, with lots of free shop time in order to help practice these new skills over and over. This isn’t really a critique as I signed up for 6 weeks, but if someone did offer a course like this I think it would be awesome. Rosewood offers longer programs, but I couldn’t afford the time commitment. Facilities: Incredible. Two of each major machine, each student gets a tool kit full of Lie Nielsen and Veritas hand tools. Top notch quality and well maintained. The fact that Ron does testing for Veritas means that he had one of just about every tool they make (even some ones they don’t sell just yet!). This really helped me to figure out what tools I would like to purchase to set up my own shop. Admin: Mary Ann is the admin at Rosewood. She was very friendly and professional and answered my numerous questions in advance of attending Rosewood. She also seemed to genuinely think I was making nice stuff and doing a good job, which always makes you feel good at the end of the day. So as you can tell, I loved the course and highly recommend it. Who’s the course directed at you ask? Well I think just about anyone really. You get out of it what you put in. I learnt a ton of basics and foundations to woodworking. But others could hone their skills just as easily. Some of the longer courses would certainly prepare you for a career in fine woodworking, although you’d likely need a few years of experience under your belt before making a successful go at it. Hope this helps convince anyone who might have been on the fence about this great wood working school! Week 5 of my 6 week study at Rosewood Studio was focused on drawer making. A whole week to build a drawer? Well when it’s made of solid wood and fitted to a shaker table, it takes a little longer than simply slapping some metal drawer slides onto an mdf box like ikea does… Unlike ikea, the drawer front won’t fall off in a year, nor will the bottom sag, and the slightest bit of water won’t turn the entire thing into a pile of wet sawdust…. First part of this week involved fitting some runners for the drawer in my shaker table. 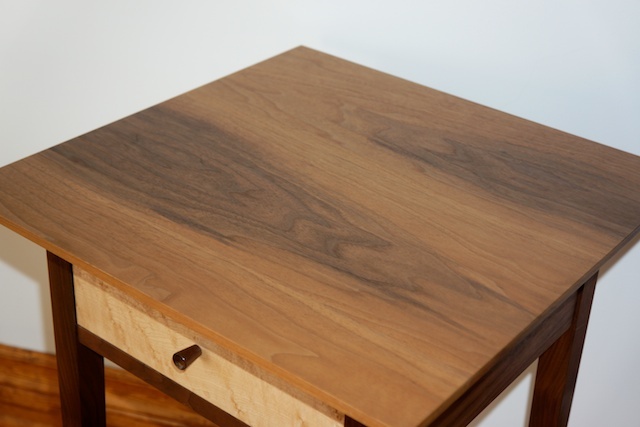 I used walnut simply because it matched the table and I had a bunch of scraps left over, however this part isn’t visible unless you are lying on the ground underneath the table. Next it was onto the drawer building. 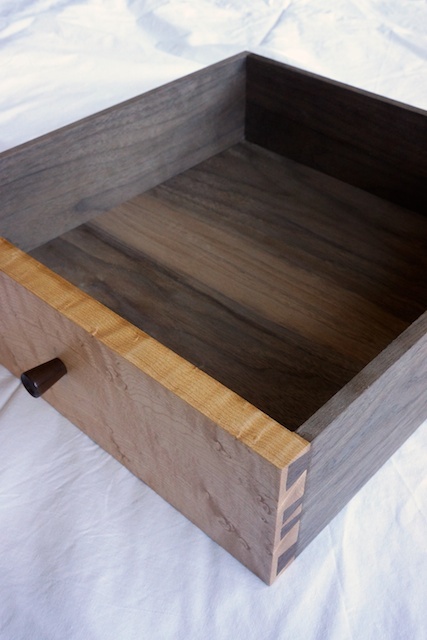 The drawer was made of walnut with a piece of birds eye maple for the front. The sides are dovetailed (half blind on the front), and the drawer bottom is a few pieces of solid walnut laminated together to form a panel. The front of the bottom panel is glued with the back edge being left unattached for seasonal expansion and contraction. Birds eye maple, while beautiful to look at, can be a bit of a pain to work with. This particular piece had some cracks and of course very curly grain which made smoothing it very trying, however after many passes with a high angle plane and a card scraper (and some light sanding), it was eventually made smooth. 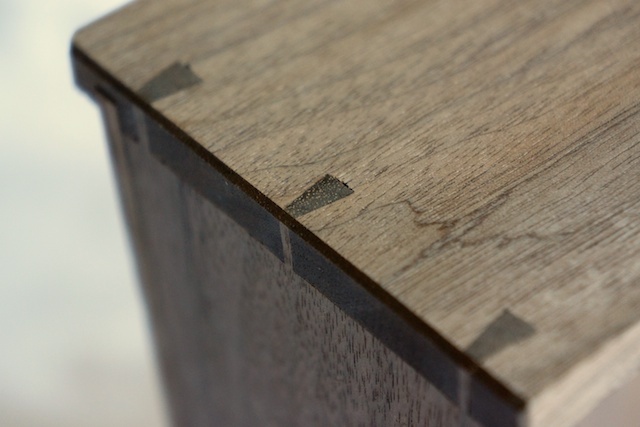 I spent almost an entire day perfecting this piece of wood, only to ruin it by cutting on the wrong side of the lines for my dovetails. Thankfully the second attempt went much quicker. Fitting the drawer was very finicky. Not only does it need to slide in and out smoothly, but the reveal around the drawer opening has to be identical (9000ths of an inch). While it was a huge pain to do, I was very pleased with the results and can honestly say I have never owned a piece of furniture that had such a smooth drawer! 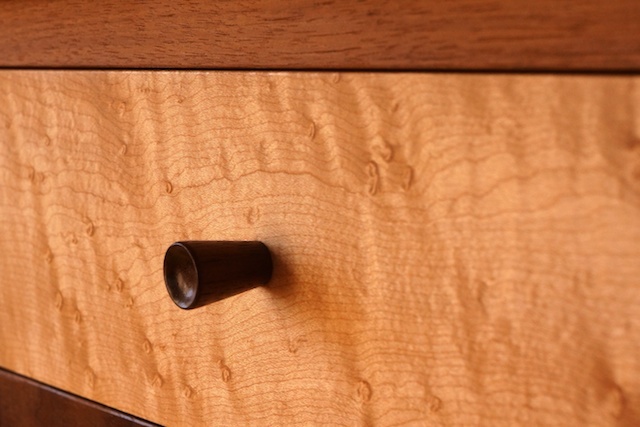 The drawer was finished off with a simple walnut pull turned on the lathe. I really enjoyed the lathe work (all 5 minutes of it… after-all it was only a pull), hopefully I can afford one in the future to add to my shop. I put several layers of shellac on the drawer front and pull, but left the sides and bottom natural. Next week is my last at Rosewood! It’s gone so fast, wish I could stay for another 6! 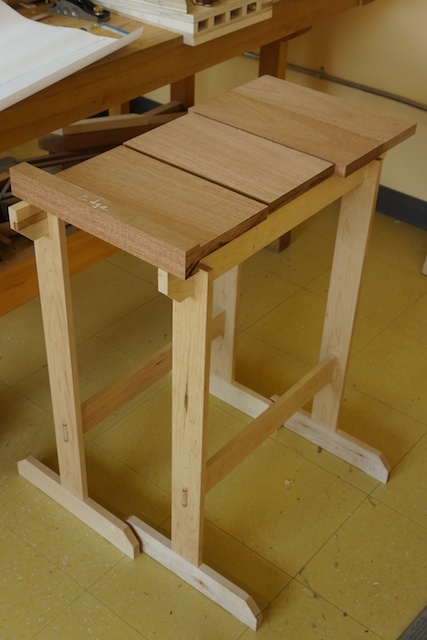 After getting a grasp on hand tools and machines in week 1 and 2, we put all our new knowledge to good use this week making a shaker side table. We had to follow a set design (way too difficult to have each student doing their own thing), but we were free to chose whichever wood combination we liked best. Ron gave some good input into what combinations work best, and really helped me to get the most pieces out of the least amount of wood, saving me some $$$ in the end. 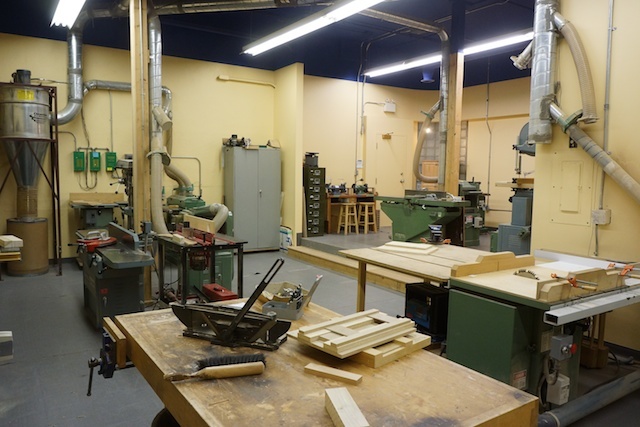 While all tools are supplied at school, you do have to pay for your own lumber which you can either bring yourself, or buy from the school (rates are competitive with local shops). 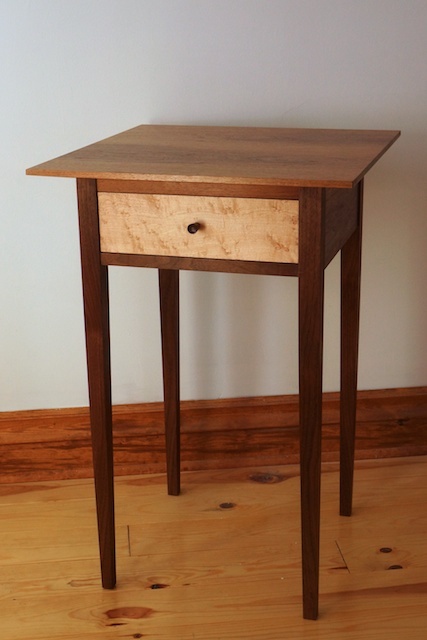 The table is 18″ square at the top and includes a 3″ drawer (to be made in a future week). I decided to make mine out of Black Walnut, a favourite wood of mine. While some people like to avoid the light coloured sapwood of walnut, I love the contrast and chose my pieces in order to highlight it. 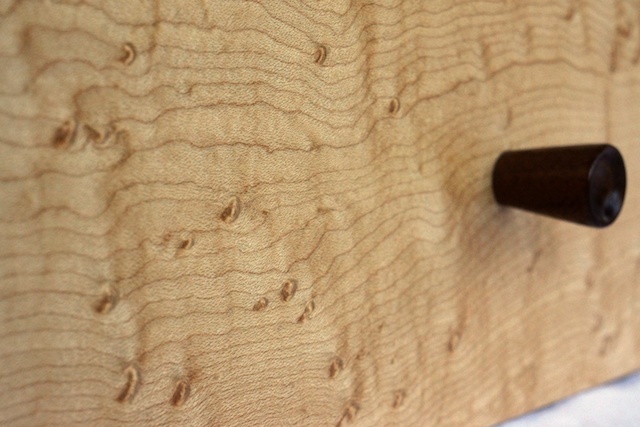 For the drawer front, there was a piece of curly birdseye maple that was just asking to be used. The finish is about 12 coats of blonde shellac, padded on over several days. I may still put a coat of poly or varnish on the top of the table to give it some more durability. What I really liked about this week was learning all the steps and proper order of operations to be able to finish a project like this. Knowing which parts to cut first and when parts should be finished made a huge difference in completing this project. For instance, the entire table had finish applied before I glued it up, as many of the parts would be hard to access once it was assembled. I also liked how Ron was very approachable with questions on how I might apply these techniques to my own projects down the road. Next week we’re on to joinery! 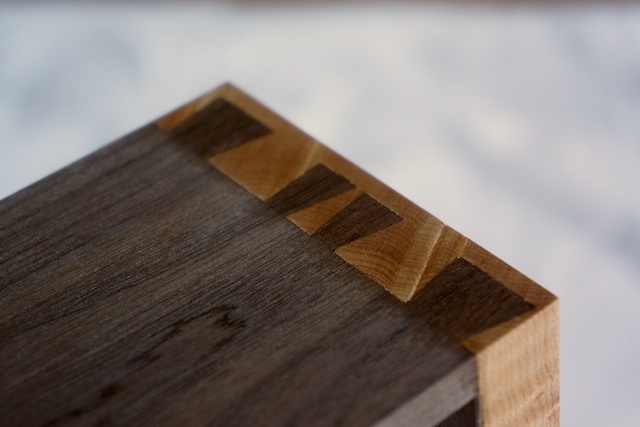 Last week was all about hand tools, mainly hand planes and saws, and boy are my arms sore. 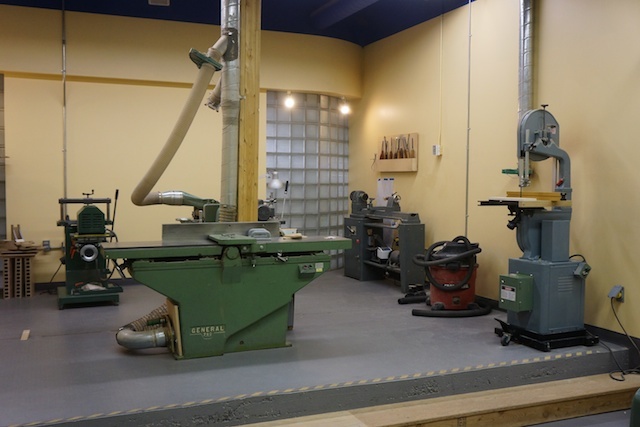 This week we are on to the machinery, and over the week we worked with the band saw, table saw, drill press, thickness planer, jointer, mitre saw, horizontal mortiser, as well as various hand held power tools. The week was broken up into how to use the tools properly and safely, and how to maintain them. The maintenance part was particularly interesting for me as I have many tools that have never been properly setup, leaving them functioning sub par and even being dangerous in some cases. We took apart each machine and made sure they were all perfectly aligned (down to the 1000th of an inch), replaced blades, sharpened others. 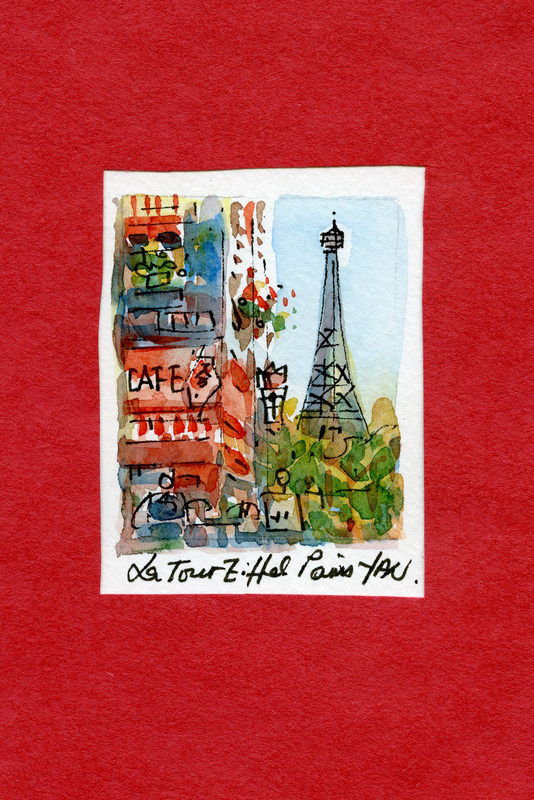 I really wish I could have video’d the entire week as it’s hard to remember everything we did. Because it’s such a hands on experience, it’s hard to take notes when you’re in the middle of tearing a machine apart! Biggest revelation this week was regarding band saw drift. In short, it’s a total myth! 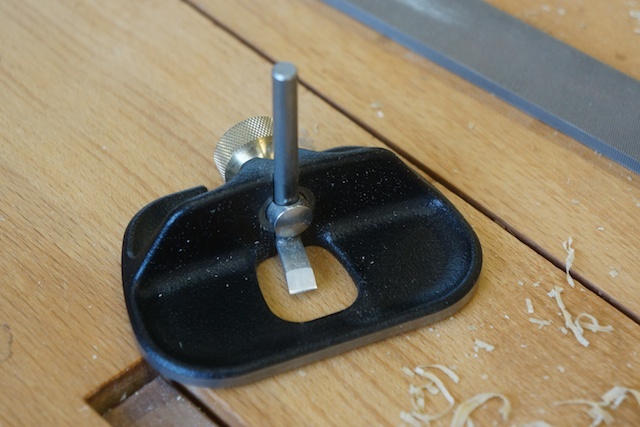 Most bandsaws have adjustable tables, and when the saw doesn’t cut straight, it’s because the table needs to be adjusted square to the blade, and not the fence to the blade as most fence companies would have you believe. My only regret is that I hadn’t waited to buy some of my bigger machines until after taking this course as I now feel much better prepared to know what machine to buy (how big, how powerful), as well as accurately being able to tell if a used machine is worth buying. As for a project this week, we made some “Krenov Inspired” saw horses (seen above supporting some pieces of Mahogany). That is to say saw horses so beautiful, they’d put most of the furniture in my house to shame… Who am I kidding, ALL of the furniture in my house to shame. The horses are made from maple, and use bridle joints, mortise and tenon joints, and wedged mortise and tenon joints. Although the week was all about machines, I did have to hand plane the mill marks off the saw horses, and they were finished with several coats of shellac – not the most durable finish, but more used in order to practice for later projects. I’ll be spending the weekend tuning up my old machines as best I can. I bought a dial gauge on the way home and plan on squaring up my table saw fence (assuming the table is already square…). In the last of our new beginnings series, I bring you…. Le Grand Plan. What is Le Grand Plan you may ask? 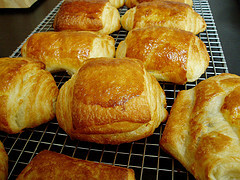 Well, it has been Sugar High’s dream to attend Le Cordon Bleu cooking school in Paris (yes we’ve seen Julie and Julia, and no that’s not why we’re doing it…) A few years ago, while on vacation, she had the chance to take a one day Pastry course where she learnt the finer details of how to make croissants, pain au chocolat, and of course, brioche. As I saw the spark in her eyes as she flew down the front steps of the school at the end of the day, I knew this was a dream that needed to come true. I hope you’ll follow us along on our journey as well as continue to read this current blog which will be kept up while we are away as well!